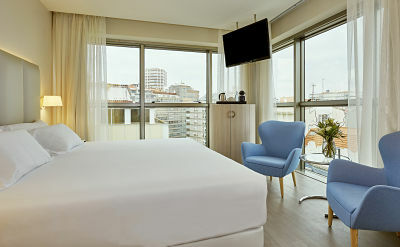 The Hesperia A Coruña Center hotel features a glass facade that allows for natural light to illuminate the entire building. Its privileged location in the heart of La Coruña puts it only two blocks from the sea. 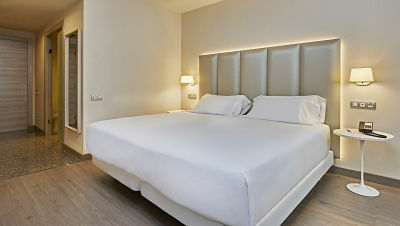 Just opposite the Plaza de Lugo market, it is a short walk to the city’s main tourist attractions. The hotel has 128 cozy guestrooms decorated in neutral tones, putting rest and relaxation within reach. 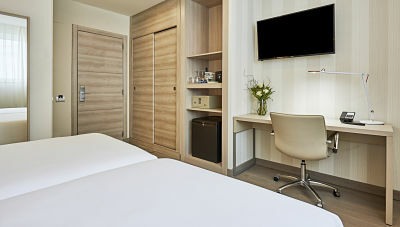 Each room includes satellite television access and minibar. 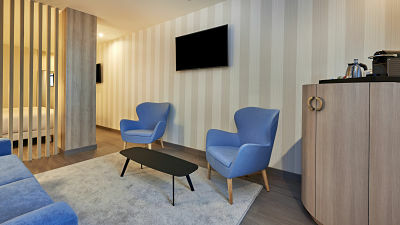 Free wifi is available in every room and throughout the entire building. 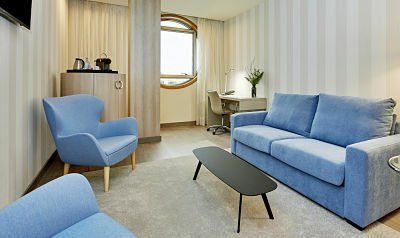 Certain guestrooms boast a balcony and connecting rooms are available for families traveling together. Breakfast: Monday to Friday 7:00 - 10:30 hs. Saturdays, Sundays and holidays 8:00 - 11:00 hs. Gastroteca is a gastronomic-musical space recently opened in the area Juan Flóez, In the city center. A new concept with a high quality cuisine led by Chef Nelssy Soriano and a decor that will delight music lovers and those who enjoy a good meal in a space absolutely singular. Cuisine: Tapas, local, Spanish. Gluten-free options.